By Rob Huisman, August 2014. 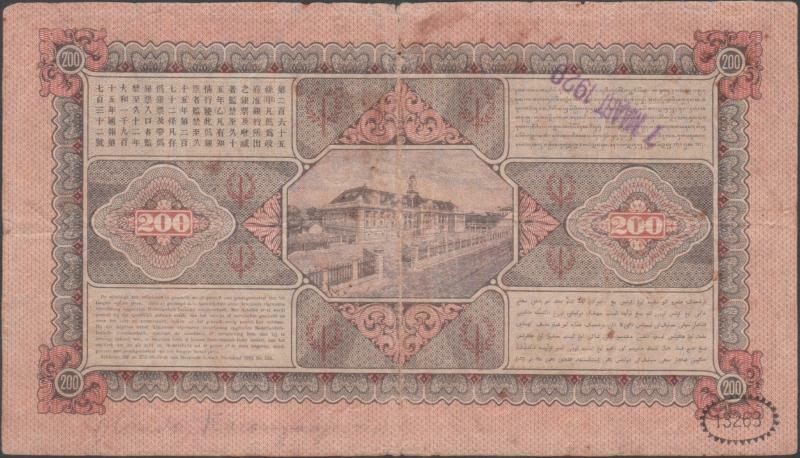 Recently surfaced extremely rare PoW money from Tamuang (Tamuan), Thailand. c. 1944. Tamuang camp, thirty nine kilometres north of Nong Pladuk (also known as Non Pladuk), eleven kilometres south of Kanchanaburi, or 375 kilometres south of Thanbyuzayat. 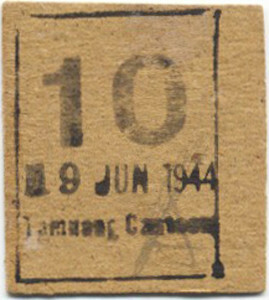 Tamuang served as a transit camp and hospital for POWs during the 1943 to 1945 period. 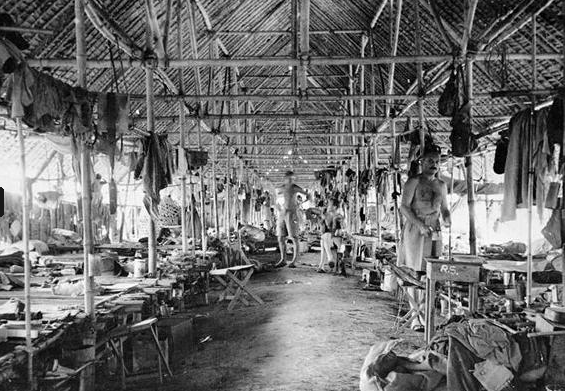 Following the Japanese surrender, it became a temporary holding camp for Australian, British, Dutch and American recovered POW, who had been engaged in railway maintenance or the construction of Japanese defence positions in various locations in Burma or Thailand. Their work load was extremely demanding under very poor conditions. They suffered a thirteen per cent death rate. After doing some research on the two Tamuang chits, one of the first things I found was that not much utensils survived from the Birma railroad PoW camps. Probably this has to do with the fact that these camps were very remote and often only temporarily established at certain locations and moved when the railroad works progressed. In contrast to other Japanese PoW camps, most Birma camps were abandoned right away after the war ended and nobody focused on preserving anything at that time, getting home alive was the first priority. Please have a look at an interesting article about Netherlands Indies camp money written by my fellow collector Hans P. van Weeren (http://papermoney-indonesia.com/?p=292). From this article you will find that most vouchers in Japanese camps were created by the internees themselves, trying to organize things and ration scarce goods. Most often they used primitive and available means to print vouchers, like lined paper from exercise books or cardboard from packaging material. As you will see in the above referenced article, most of the primitive chits do not have any official Japanese authenticity stamps; again, they were often created by the internees themselves. The two Tamuang chits are printed single-sided on cardboard. I presume that cardboard was used that served as packaging material. The chit with value “10” has a Japanse character printed on the back. The cardboard of this chit has a thin layer of paper on the back, which seems to be a part of a bigger whole. It’s fair to assume there were other characters printed on the printed cardboard where this piece came from. I asked specialists to look at the Japanese character and it appears to be an old form of the character 連, which means unity, join, connection, etc., but cannot be given the correct meaning without the context of the accompanying characters. Therefore it looks like the character has no specific meaning to the chit other than that the cardboard was cut out of a larger piece of cardboard with Japanese characters, which was likely to be available for internees at Japanese camps. A very interesting thing is the date stamp, Originally I presumed that these stamps with rotating day, month and year were only available since the 1960’s. But after doing some research, it appears these stamps were already available since the turn of the previous century. The best proof of that is a rotating date stamp from 1929 on the reverse of a 200 Gulden note from the Netherlands Indies. « Interesting stamp or forgery?